Lavender hair color is your ticket to a real fashionable fairytale. The fairytale, where you flaunt with a hair color that reminds you of the blissful early spring and makes you stand out from the crowd. How about you to make it real? It’s time to see how you can add the magnificent color to your life palette: our ideas will be your eternal inspiration. Whether you got your purple hair randomly, when trying to achieve a greyish tone or you are rough and ready for trendy color changes, there’s an idea for every girl and any taste. Let’s plunge into the world of endless spring and everlasting, immense lavender fields on your hair. See how to pull off lavender shades! 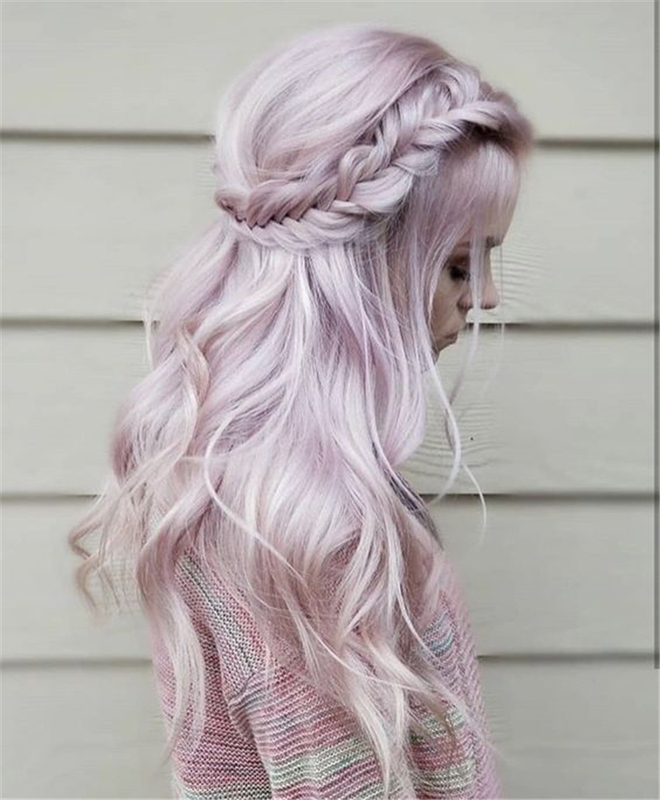 Light lavender hair is a splendid color idea for women with light skin tones. Nowadays, ladies with pale skin and light hair color are considered very attractive, as everything in their looks is absolutely authentic. To emphasize the beauty of your subtle skin tone, you can go for whitish lavender ting with saturated violet roots.